you are a solitary scout, sent off to scour the sprawling remains of abandoned mech stations. your orders are clear: find what is useful, find what is damaged, report back to mission command. it is a simple, straightforward task. but this station is different. you grew up here; you carry memories of your time here. your first mech. your first crew. your first missions. the memories inexorably linked to your identity as a pilot. you had a life here, once. but in this moment, you have a job to do. 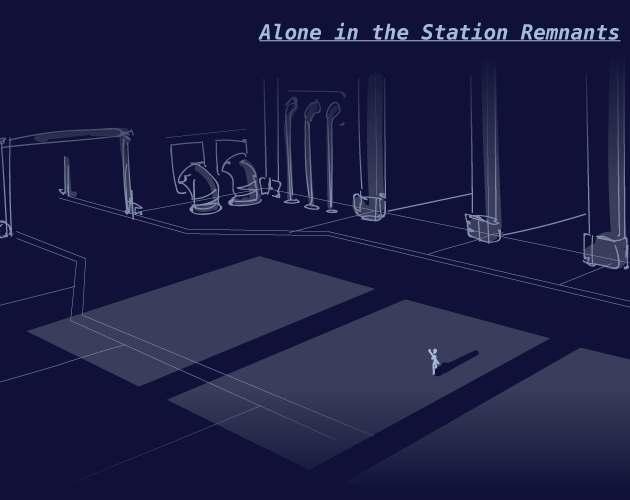 A hack of Takuma Okada's "Alone Among the Stars" about exploring the ruins of the mech station you grew up on. Uses a standard 52-card deck and a six-sided die. For one player. Finding the remains of my mech still hidden underneath a watchtower. Remembering how they died due to my incompetent piloting upon seeing dead flowers they planted prior to their militarization. Finding a patch of the energy fruit that only me and the mechs ever liked. Abandoning mission command to build the plant tending mech me and my crewmates wrote schematics for while we worked on our mechs. Thank you for this game, I think it's fantastic.